SEVILLE, Spain (CelebrityAccess) — Spanish promoter Riff Producciones has formed a strategic partnership with promoter-giant Live Nation. 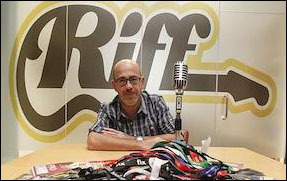 According to IQ-Magazine, Andalusia-based Riff promotes concerts by international artists such as g Bob Dylan, Los Lobos, Paul Simon, Mark Knopfler, and Iron Maiden, as well as booking select Spanish artists. As well, the company also produces a collection of festivals in the market, including I Like Festival and Eutopía in Cordova, Directos al Sur in Granada and Blues Cazorla in Jaén. According to Spanish promoters’ association APM, Riff and Live Nation Spain will focus on fostering the growth of Spanish artists in international markets, in particular, North America and Europe.